Are you a fan of Dr. Seuss? If YES, then don’t miss this Tony award-winning musical based on the works of Dr. Seuss. You could buy tickets online at www.tix.my. For more details on the musical, visit this Facebook page. 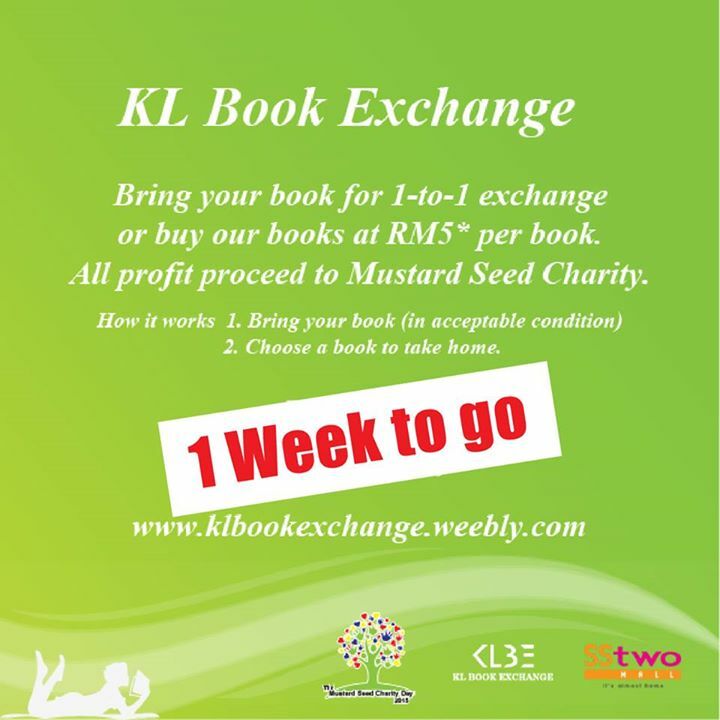 If you would like to sell books, please contact event organiser. RM10 booking fee will be imposed but don’t worry, it is fully redeemable against Brew & Bread Coffee Bar’s excellent options. For more details on the event, visit the event page. 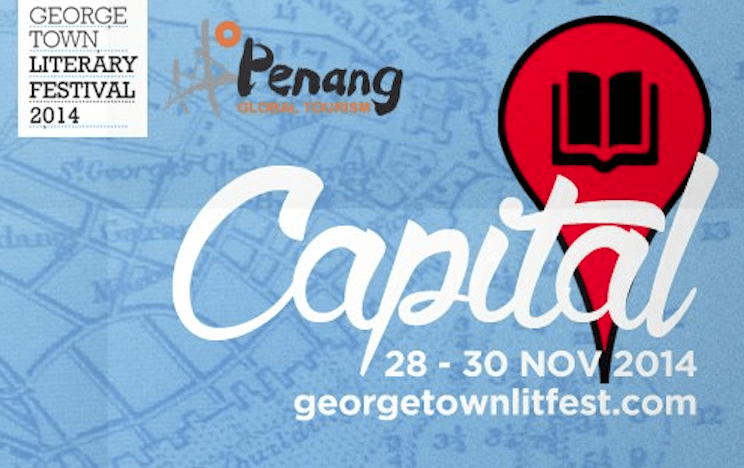 Georgetown Literary Festival 2014 is one of the many state-sponsored arts festivals held in Penang, Malaysia. The festival provides a platform for Malaysian writers to conduct dialogue, performances, book launches and much more. Programme (click on the day(s)): Friday, Saturday, Sunday. 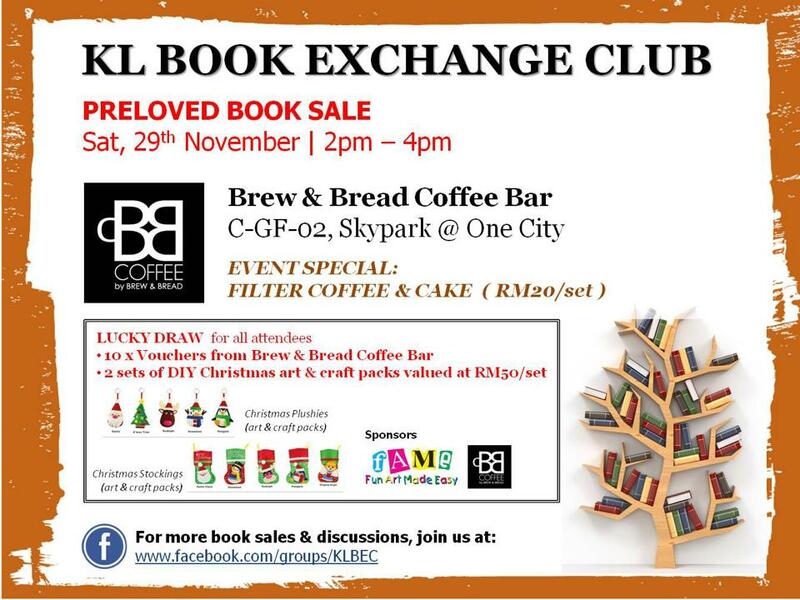 Malaysian writers that are confirmed to be at the event include Amir Muhammad, Shivani Sivagurunathan, Rozlan Mohd. Noor, Bernice Chauly. International speakers that are scheduled to make appearances include Susan Barker (UK), Miguel Syjuco (Philippines/Canada), Leila Schudori (Indonesia), Brian Stoddart (Australia). For more details, visit the website and/or Facebook page. 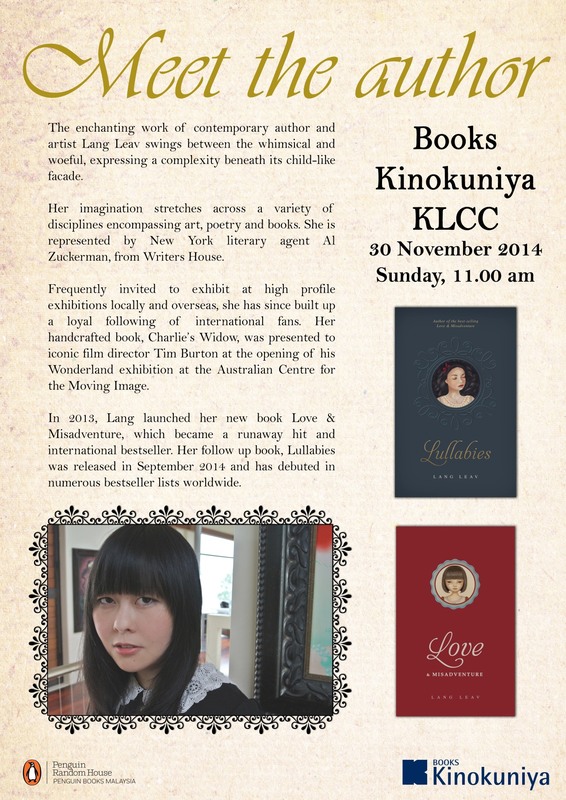 Lang Leav, an internationally exhibiting artist and bestselling author, is coming to Malaysia. 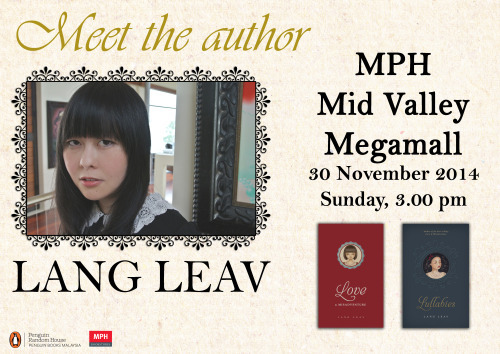 Ms Leav will be in Kuala Lumpur to promote her books on poetry, ‘Love & Misadventure’ and ‘Lullabies’. The journey from love to heartbreak to finding love again is personal yet universal. Lang Leav’s evocative poetry speaks to the soul of anyone who is on this journey. Set to a musical theme, love’s poetic journey in this new, original collection begins with a Duet and travels through Interlude and Finale with an Encore popular piece from the best-selling Love & Misadventure. Leav has an unnerving ability to see inside the hearts and minds of her readers. Her talent for translating complex emotions with astonishing simplicity has won her a cult following of devoted fans from all over the world. For more details, visit her blog and/or Facebook page.